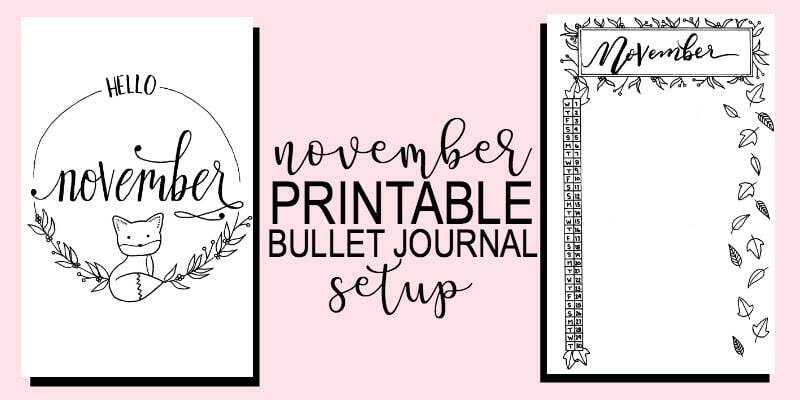 I’m excited to bring you the printable November bullet journal setup, along with some big news and Petite Planner updates. I’ve been rather quiet for the past couple weeks. I did a post about the Artist’s Loft Dot Grid Journal, but other than that, the blog has been pretty stagnant. But, I have a good reason that I have been waiting to share. And honestly, it may still be a little early, but what the hell??!! I need to share my news. The Petite Planner is now on Etsy. There, I said it. My shop isn’t quite as full as I’d like and it still has some kinks. I’m new to the e-commerce life. 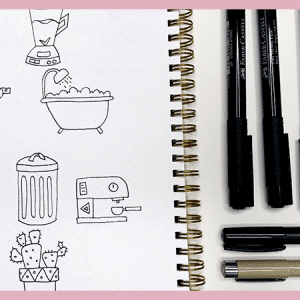 But, in general, Petite Plans is a printable shop with hand-drawn bullet journal pages, coloring pages, planner inserts, stickers, etc. I’m a planner junkie; the shop reflects that. I do want to note that there will still be tons of freebies in my VIP Resource Library. I’m not stingy and I certainly don’t intent to take those free printables away from you guys. So how’s a girl to make some money if she offers freebies? The selection of printables offered in my Etsy shop will be much greater than those offered in my resource library. You guys are incredibly important to me and I want to give you all the free stuff. So, that won’t be ending anytime soon. And I promise to keep my freebies top quality. Last month I offered an entire October Setup for free through my VIP Resource Library. 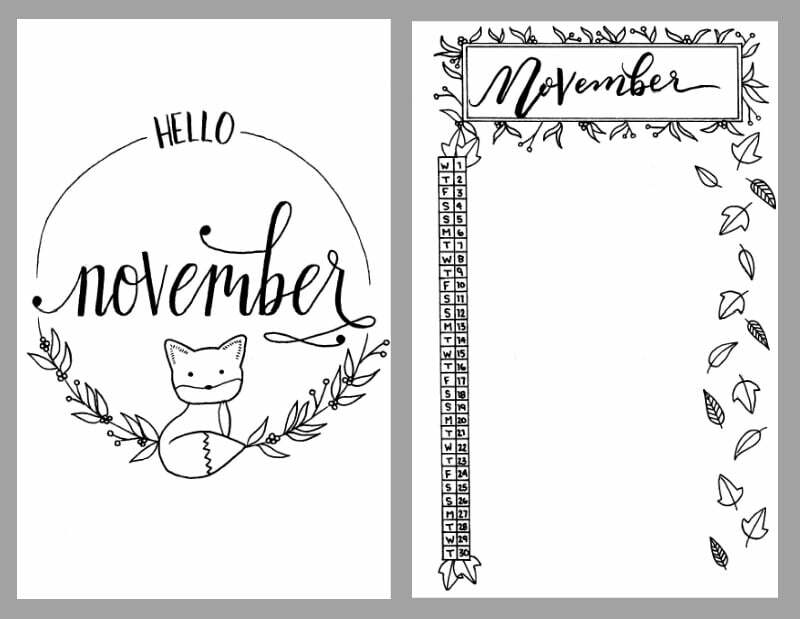 And for November I’ll be offering the “Hello November” page and a vertical monthly layout. However. If you would like to have the entire setup, you can buy it from my Etsy shop with the 30% off coupon: PETITENOV (valid 10/14/17-11/4/17). Enter the coupon code at checkout. Click Here to Buy from Etsy! Have a request for a freebie, or a suggestion for my Etsy shop? Tell me in the comments section and I’ll make it happen. For those of you who still want the free pages, here’s the part of the blog post you want to read. 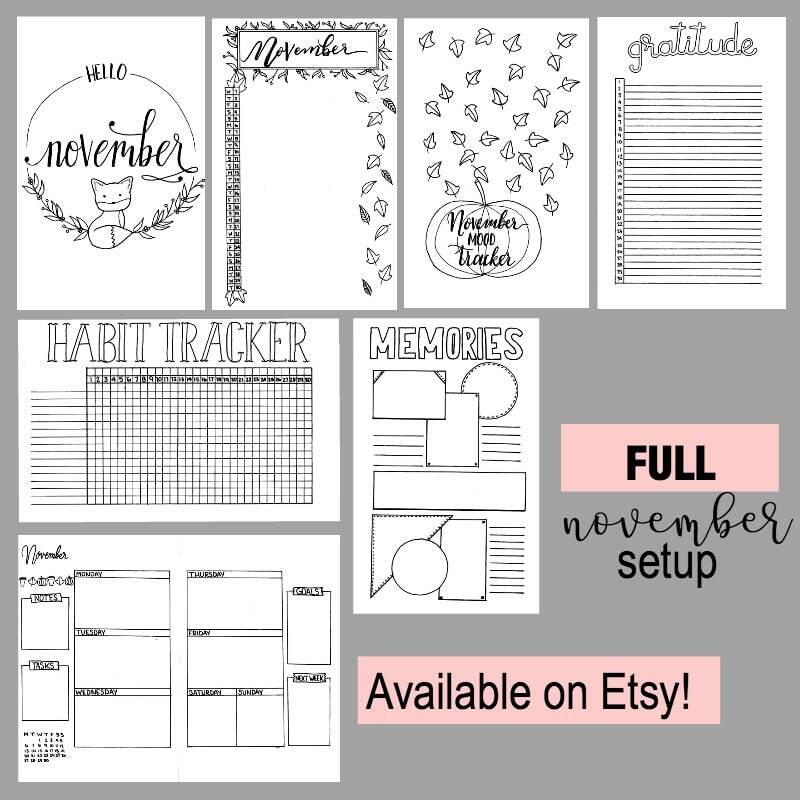 To get the “Hello November” page and the vertical monthly setup, head over to sign up for my VIP Resource Library. You’ll be asked to give your email in exchange for the password to the library.
. It makes the task quick and easy. After you have signed up for the VIP Resource Library you will receive a welcome email with the password. Then, head over to the Library and find the November setup. Click the link and download the PDF. Open the PDF with Adobe Reader (completely FREE) and select print. When in the print options, be sure to select ‘actual size’ and then click ‘print’. 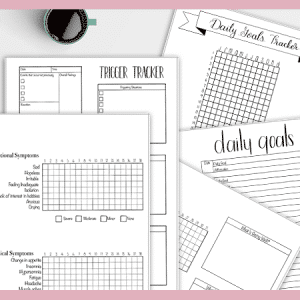 Want Access to ALL of my FREE Printables? Subscribe to my Newsletter and then go check out the VIP Resource Library.